I was going to tell you that I didn’t like this book that much. I finished it but I didn’t truly enjoy it. I was going to tell you that it was probably because I don’t know Spanish and Diaz uses a lot, spattering it through the story on almost every page. 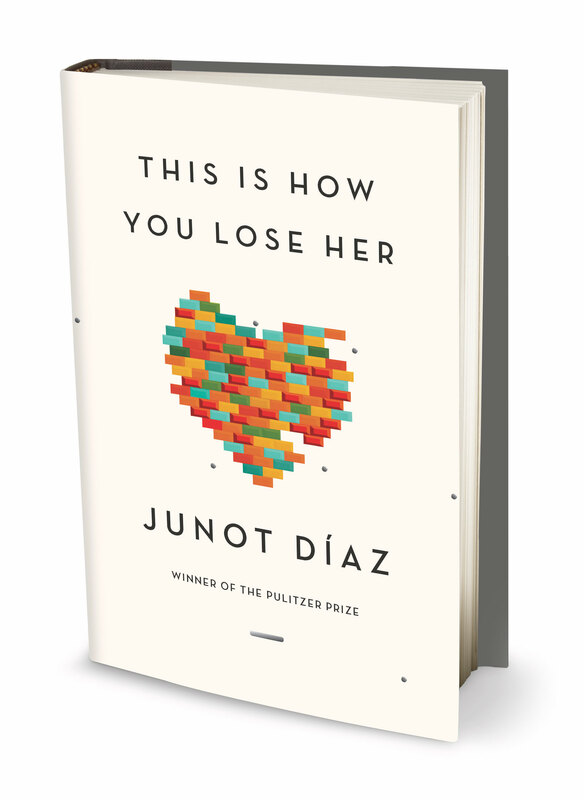 I love dark, depressing, unresolved stories but this one didn’t do it for me; I wanted Yunior to win at something, anything and the ending left me feeling…unsettled. I was going to tell you that there were moments I loved but overall, I wasn’t that impressed. Except that I can’t stop thinking about this story. It’s been two days and it’s still almost all I can think about. He got me. I fell in love with Latino lit when I read Sandra Cisneros’s The House on Mango Street. The short sentences, bright and colorful, danced in a rhythm I’d never heard, rising and falling like a funny story on a quick tongue. I came to the realization that while other literatures can be picked apart and quoted line by line without missing any of the meaning, when you read a sentence that grips you in Latino lit, it’s because of the way the author set you up. You can’t quote a line to show the meaning, you have to quote a paragraph. Everything is connected deeper, further, tighter. Words, like culture, knit together. So I don’t know Spanish. I read it anyway. Some of it I could figure out, in context, but overall I was left with this feeling that I only kind of knew what was going on. The story was rolling along and, for all the words I was digesting, I still felt like I was an outsider to something. That’s an unsettling feeling. And it made me think about language and relationships and how you can be participating in life with someone but still not be sure what is happening. I wonder if he wrote it this way intentionally, to show the reader what it’s like to live between two worlds, two languages. The ambiguity that I love in other stories, the harshness and beauty of reality, the ending that solves nothing, all my favorite things, didn’t satisfy me in this story. I desperately wanted Yunior to catch a break, to get ahead, even a little. But he just couldn’t. Not even once. This language of hardship, this acceptance of suffering as part of life was hard for me to handle. I expect a rise and fall pattern in life and a life of all fall defies my understanding of reality. I was thrown by the sadness. This book violated all of my expectations. It made me look at myself and my experiences in a new way. It asked me to try to understand something that I have never and will never experience. It was uncomfortable and unforgettable. I loved this book. What about you? Have you read it? Did you like it? Is there another book you’ve read that violated your expectations and made its mark on you? I haven’t gotten to this one yet, but I loved Oscar Wao. Diaz is fantastic. Thank you for sharing the wonderful review! If you’re ever interested in some other awesome book reviews and musings, be sure to follow! Thanks!! !